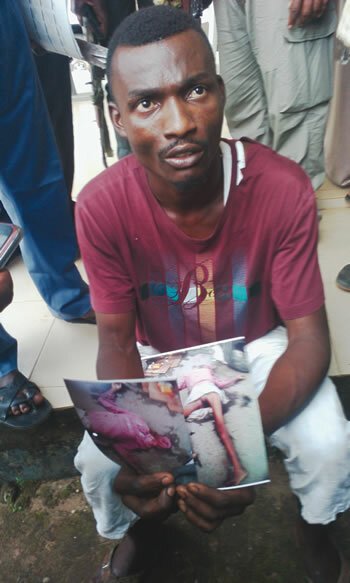 A 20-year-old man identified as Emmanuel Effiong has said he beheaded a woman at the Aba park on the instructions of a mad woman, who allegedly advised him to throw a human head into a river or he would go mad. “I gave a mad woman money one day in Aba and she told me to look for a skull or human head and throw inside a river or I will go mad. One morning, when I saw a lifeless body in front of the park, I decided to cut off the dead woman’s head for the exercise. I threw the head into the Aba River to remain a normal person,” he said. Effiong made the confession while in the custody of the police. He had been arrested by police operatives in Aba, Abia State in connection with a threat to kidnap and kill one Ikechukwu Udogu. It was gathered that the search for Effiong started when the police got the information that an unknown person, through a phone text, threatened to kill one Udogu, if he failed to pay him a N15m ransom. It was learnt that police operatives attached to the Central Police Station, Aba, swung into action and arrested the suspect with the mobile phone number used in sending the threat message. The Commissioner of Police in the state, Mr. Adeleye Oyabade, who confirmed the arrest of the suspect, said he confessed to the crime. Oyebade added that the suspect also confessed that he was behind the headless woman found on September 29, 2016 at the Aba main motor park. He said three knives and a phone were recovered from the suspect, adding that investigation was in progress to unravel the mystery behind the dastardly act. Speaking with Southern City News, Effiong, who said he hails from Ikot Edet in Akwa Ibom State, accepted that he demanded the ransom from Udogu for refusing to pay him his salary since September 2009.